I posted this on another thread back in May. I'm interested in your plans for the carpenters hatchet. I got this one as a loose head at the local thrift shop for $3.00, I did a little cleaning on it but didn't find a makers mark of any kind, so probably not anything special. 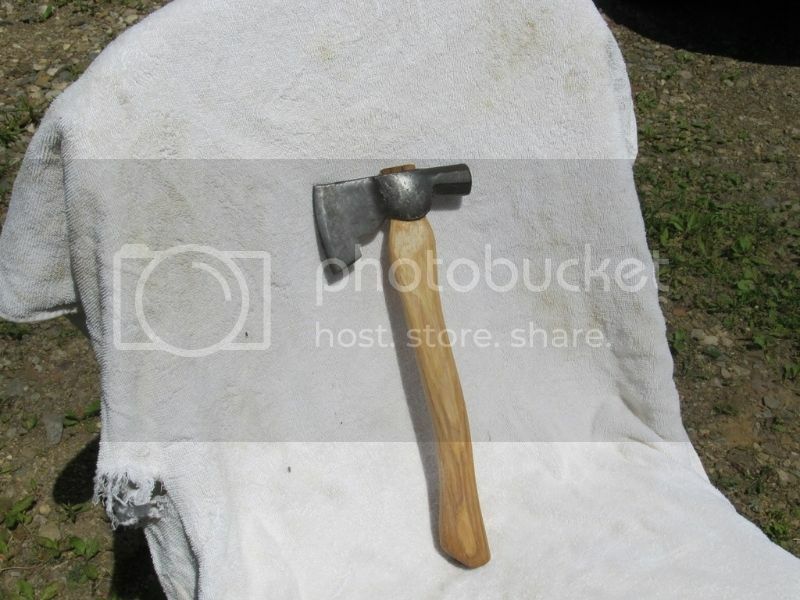 I wanted it to be usable as a carving axe, so chose to haft it on a scout axe handle. I found a nice handle at the hardware for $7.00. This is my first axe rehang. 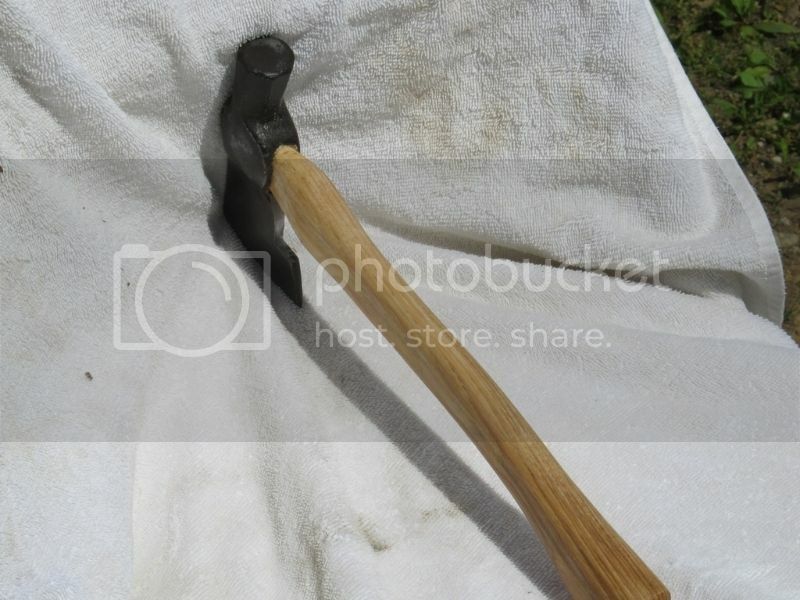 I used a hacksaw and file to reshape the head where the nail notch was, it still needs some more filing to square up the edge to be used as a scraping notch/fero rod striker. I have not worked on the edge at all yet. 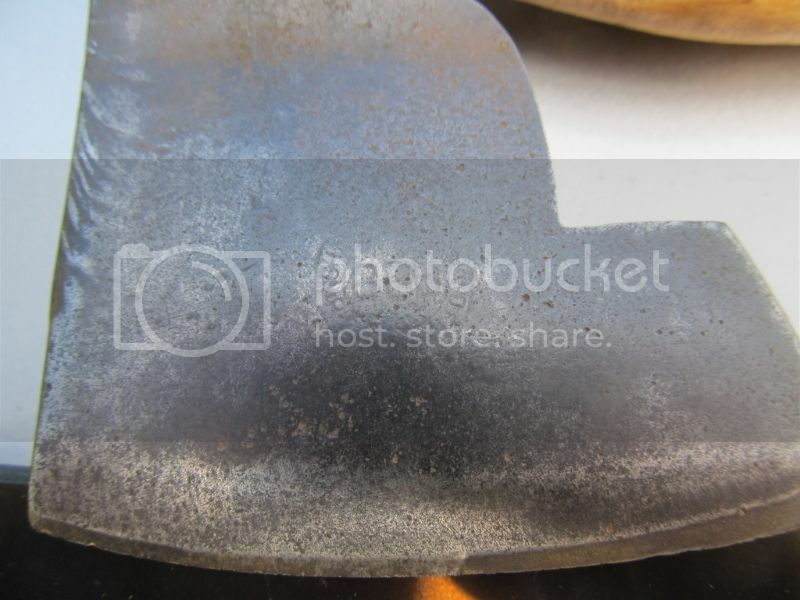 I was working on the axe today and found a very light logo stamped on a cheek of the axe. It has a double circle with print in it, then in the center BBB. I was able to identify it as Bingham's Best Brand, out of Cleveland, Oh. BBB appearantly was a wholesaler that rebranded tools from other manufacturers, so I still dont have a definite answer who made it. 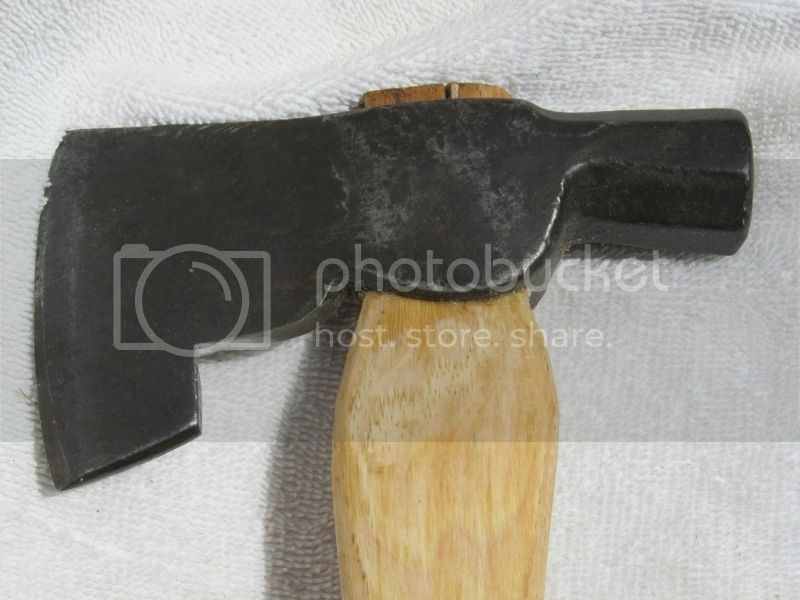 The interesting thing is the location of the logo, on all of the pictures I've seen online the logo was on the cheeks where the handle passes through the head, on this one it is on the blade. 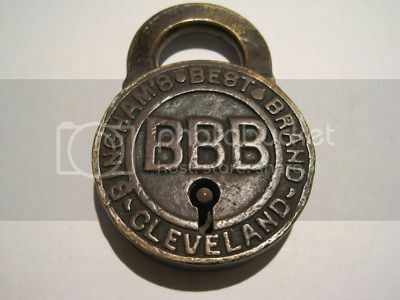 I found a good picture of the logo on a padlock. That's killer. Appreciate the update. Better hang on to that one. Not a logo you see often. I probably shouldn't have filed out the nail notch. I had looked pretty closely for any sign of a logo and had not seen anything.